You don’t have to be a grown up to start making a difference! 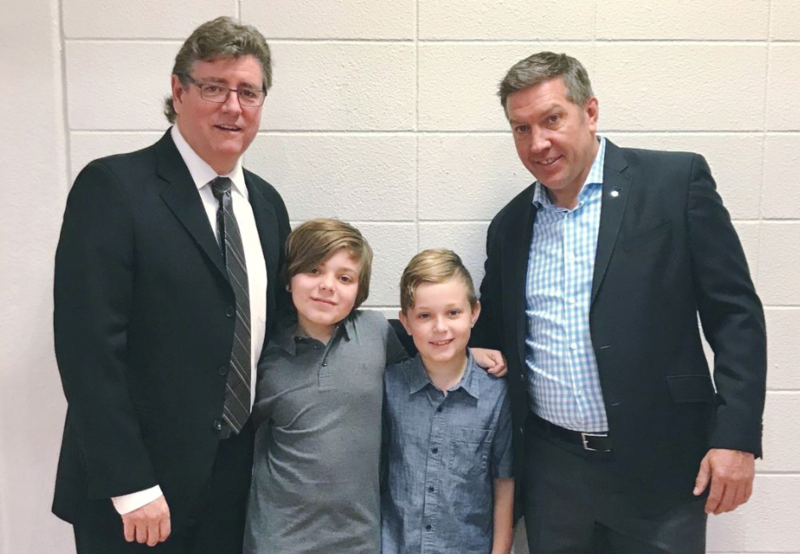 These two young boys, Hudson (12) and Ryker (9), presented Sheldon Kennedy and with toys for our Centre from money that they raised money from various fundraising events! Hudson became interested in giving back when one evening his mom explained to him what abuse is, and that there are kids out there that experience it. After listening and understanding, he and his brother decided they wanted to help those kids in need however they can. The boys first started fundraising back in July by selling stress balloons and lemonade, and made their first donation to the Sheldon Kennedy Child Advocacy Centre.This is their second time fundraising for toys, and we couldn’t be more proud to receive them. The two young boys courageously spoke in front of the entire Notre Dame RD high school, and encouraged everyone that they go out and make a difference however they can!